Part two of our farm system update focuses on the top ten hitters in the Yankees’ farm system. While only seven of New York’s top 30 prospects are hitters, and one being the recently promoted Gleyber Torres, the Yankees' depth is clearly in their pitching, but there are still a few up and coming hitters who can make an impact in the near future. All stats are through Sunday, May 20th and all rankings are per MLB. 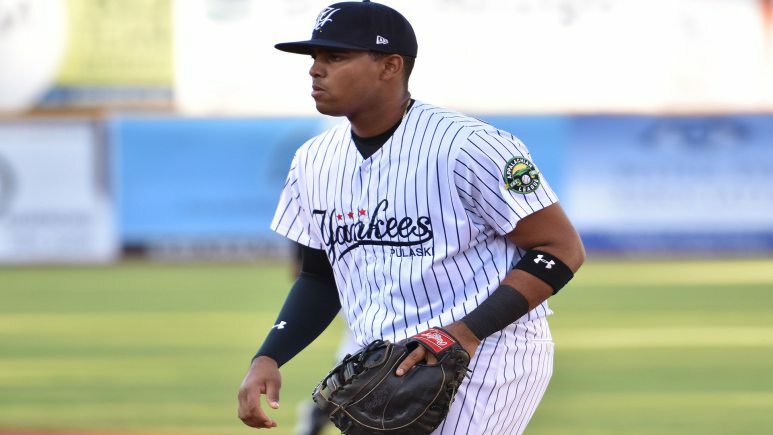 Torres began the season in Scranton, not only so the Yankees could manipulate his service clock to garner an extra year of team control, but also to give Torres the final seasoning he needed in his return from last year's Tommy John Surgery. Gleyber has been nothing short of a revelation since his promotion to the Bronx and has provided the production the Yankees were missing from Tyler Wade and Neil Walker earlier in the season. Torres has sparkled in the field and provided timely hits, and it's clear he's another special player this team can build around for years to come. Gleyber will soon reach rookie requirements at the majors and graduate from this list before our next update. Florial struggled to find consistency at Single-A Tampa this season before recently suffering a hamate bone fracture in his wrist that requires surgery and will keep him out of action until August in all likelihood. Still just 20, Florial has a good amount of seasoning ahead of him before he is big league ready, but he's shot up the system rankings in recent years, so much so that he'll be ranked number one by our next update after Torres' graduation. 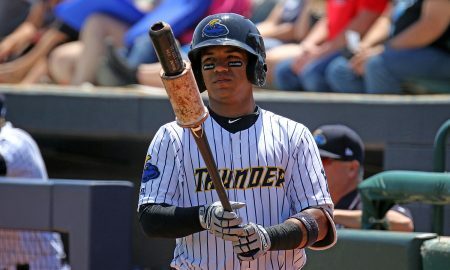 Florial is a true five-tool player that the Yankees love and want to see him develop further. The injury is a step in the wrong direction, but if he can come back strong, he has a chance to rise to Triple-A, if not the Majors, by 2019. Estrada is another young prospect who shot up through the system after strong 2016 and 2017 seasons. His progression has been stalled at the start of this season, however, after he took a bullet in his hip during a robbery in his home country of Venezuela over the off-season. Estrada took two months to heal and is currently playing with the bullet still lodged inside his hip bone. 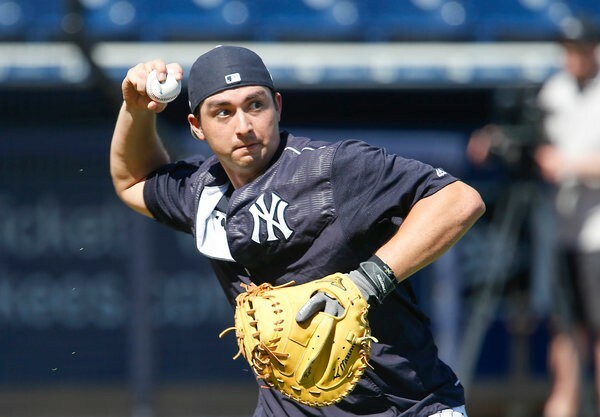 Estrada, and second baseman by trade who can play second, third and short, spent all of 2017 with the Trenton Thunder (Double-A) and posted an impressive .301/.353/.392 slash line. He backed that up with an even more impressive line in the Arizona Fall League of .342/.381/.430. 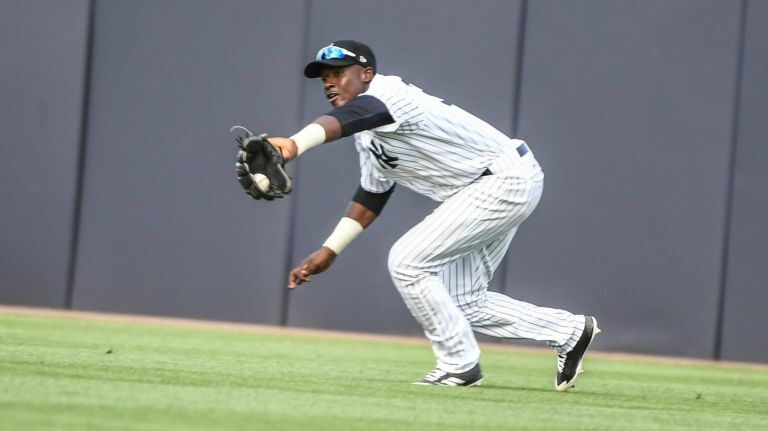 His path to the Majors is seemingly blocked right now by Gregorius, Andujar, Drury and Torres, but he's an intriguing prospect who might be a key trade piece if the Yankees decide he doesn't have a future in pinstripes. McKinney made his MLB debut earlier this season, in just the season's second game, when an intercostal strain sent Aaron Hicks to the DL. The Yankees were in a pinch with no other OFers on the 40-man roster, so McKinney got the call and recorded his first big league hit in the game. However, in his second game, he injured his shoulder and neck attempted to make a catch at the wall and was placed on the DL the following day. McKinney performed well in 2017 between Trenton and Scranton/Wilkes-Barre, slashing. 277/.338/.483 with 16 HRs and then led the Yankees in HRs this past spring Training. McKinney has just recently returned from his injury so we can't yet make much of his minor league numbers. 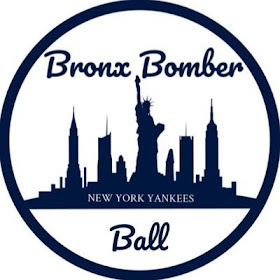 He projects as both an OF and 1B and may once again find himself in the Bronx this season should another injury hit. Garcia, a former top-rated prospect from the 2014-15 International Pool, is a young corner infielder who's best tools are his arm strength as well as his power bat. Garcia hit 17 home runs between Rookie ball and Low-A Charleston last year. MLB.com has pegged him as a true power hitter who struggles both in the field as well as on the bases so he'll need to continue putting up big power numbers if he hopes to continue rising through the system. Charleston's season has just recently begun, so we'll have more on Garcia in the next update. One of New York's biggest splashes in international free agency this past winter, Pereira brings above average skills on the bases and in the field and average hit and power skills. As a raw 17-year-old, Pereira still has a long way to go before he can make an impact at the upper levels of the minors or in the bigs, but he has some nice tools that drew the Yankees to pay him a hefty $1.5 million signing bonus this past Winter. Scouts have him pinned as a future CF who can be a productive leadoff man. 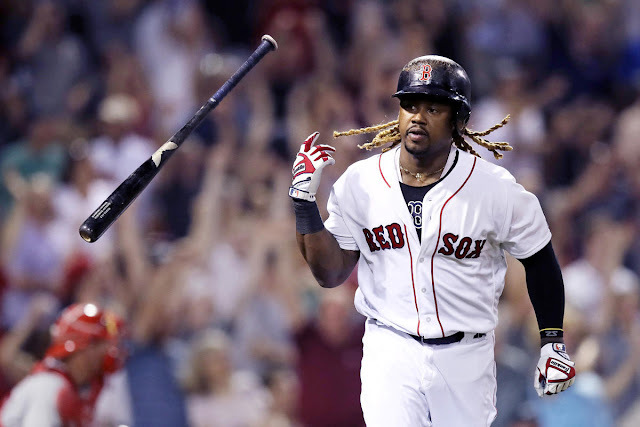 A recent Rule-5 Draft returnee from the Seattle Mariners this past Spring, Ford has been with the organization since 2013 and first cracked Triple-A last season on the back of a year in which he slashed a combined .270/.440/.471 with 20 home runs. The Mariners took Ford in the Rule-5 draft but were unable to find a spot for him on their 25-man roster, and so he was returned to the Yankees just before the start of the season. After a rash of early season injuries, it was thought Ford might have been in line for a promotion, but now with the impending return of Greg Bird as well as the success of Tyler Austin, Ford is firmly rooted in as the 1B/DH of the RailRiders. K-Higgy received his first big league experience last season when Gary Sanchez was forced to miss a month with a forearm strain. He was, however, unable to record his first Major League hit across 18 at-bats. Higashioka returned to Scranton/Wilkes-Barre, but soon found himself on the DL and missed the majority of the season, unable to reproduce his fantastic 2016 in which he blasted 21 home runs between AA & AAA. He currently splits catching duties with Erik Kratz at Scranton/Wilkes-Barre and seemingly has no place on the Yankees' roster behind Sanchez & Austin Romine, both whom are having strong seasons. Perhaps the most pleasant surprise across the system this season has been the success of young infielder Abiatal Avelino. 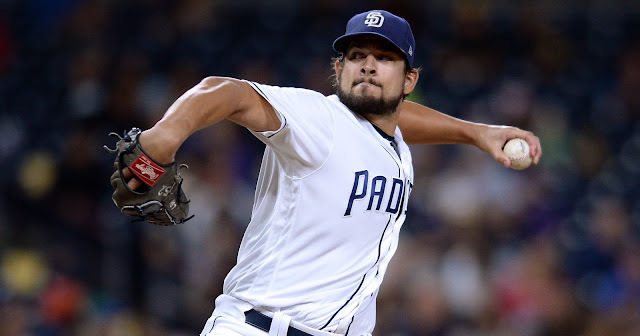 Avelino started the year in Triple-A but was moved to Double-A to make room for Tyler Wade upon his demotion as well as both Estrada and Brandon Drury once both were healthy. Since then, he's absolutely lit up the Eastern League, marked by his 4-for-5 day on Friday in which he drove in five runs. Avelino might be caught in a numbers game right now, part of a very deep middle infield for the organization, but if he keeps hitting like this, it's only a matter of time before he finds himself back in Triple-A and perhaps one day, New York.